Another shoe from Jordan Brand’s 2013 All-Star Collection that is getting a lot of attention is the soon-to-be-released new edition of the Jordan CP3.VI kick. 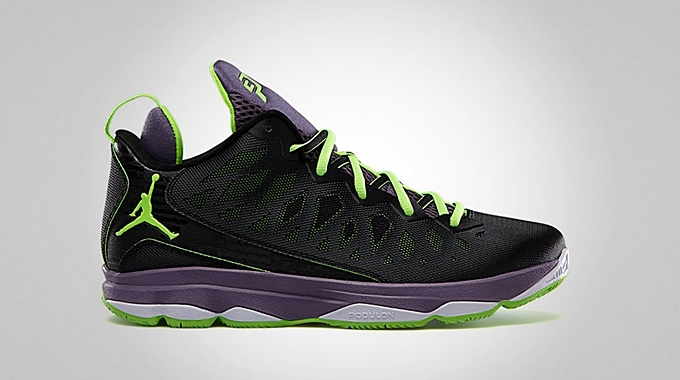 The sixth signature shoe of Chris Paul will come out in Black/Electric Green – Canyon Purple Pure Violet colorway on February 14 along with the newest addition to the Jordan Melo M9 line. Known as the “All-Star” edition of the sneaker, this shoe features a black upper part accented with green and purple hints all over the kick and of course it still boast the famous Podulon cushioning. Make sure to get your own pair this Thursday for just $125 per pair.